No, it’s not modern art: it is an aerial view of my 14 month old son’s giant head o’ bald after Dr. S – Age 3.5 got to him post-traumatic bump with a Tinker Bell bandage. I don’t know if it is the amazing colors or vast availability of characters from which to choose. 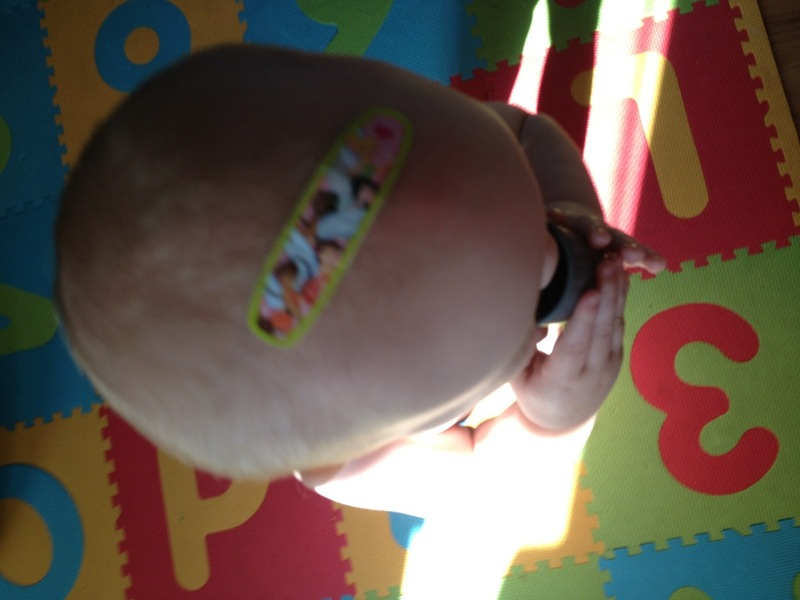 My daughter is just as thrilled to get a new box of band-aids as she is a new toy. The delight that follows every new bump, bruise or cut – on anyone in the family – is slightly wrong on some levels, but vastly amusing. Waking up from a nap with one on your arm seems a small price to pay. Now that her baby brother is walking, it is good to know immediate and colorful first aid is always at the ready!